The Austrian in Bärlin. Souvenirs from all over the world we know very well. A piece from homeland when you are far away. Special gifts and also a mix of everything…so here it is, the perfekt Bärlin-Souvenir! Sometimes things happen that you never expected. So it happened that our house & fram champagner supplier, the sparkling wine cellar Szigeti, asked us to develop together a new Berlin souvenir. We embarked on the adventure and it came out the Bärlin sparkling wine! The base is the smallest bottle of champagne in the world, filled with 0,125 l Grüner Veltliner sparkling wine from Szigeti. Together with the austrian artist Oliver Feistmantl, we designed the bolttle. You can buy this little sweet bomber in our restaurant or in other exquisite places. 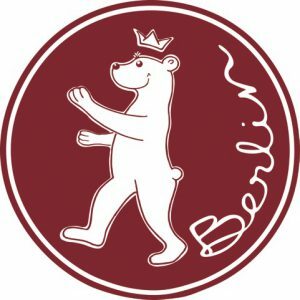 Find out more about the Bärlin sparkling wine and the sales points under this Link.